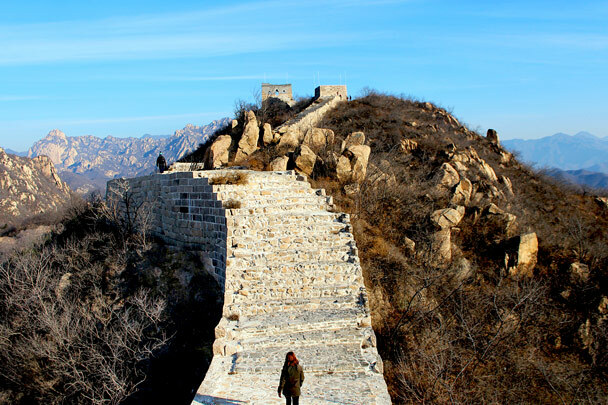 In Brief: Eleven photos from a walk around the Longquanyu Great Wall. 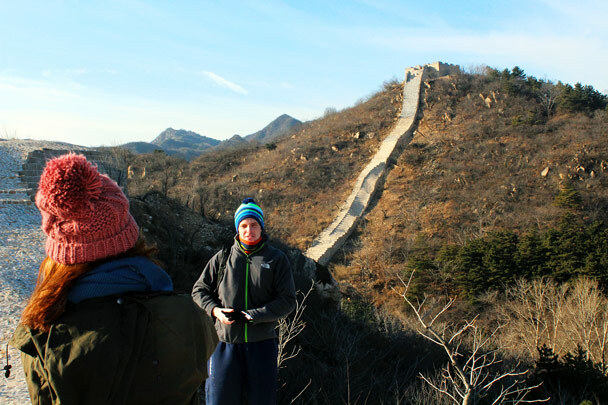 The first part of the hike took us along a repaired stretch of Great Wall that dipped down steeply in places. 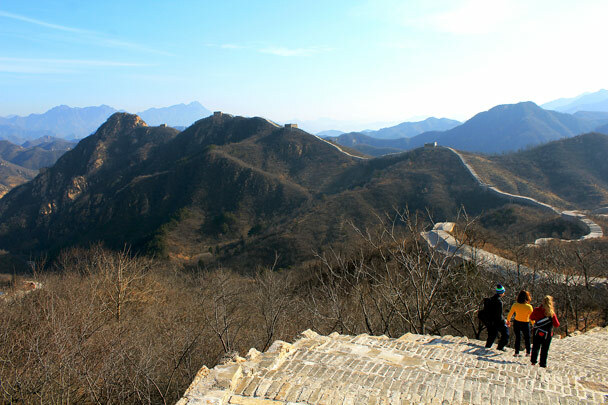 This was also the highest section of the hike, and we were able to look off into the distance to see all the Great Wall we’d walk later in the day. 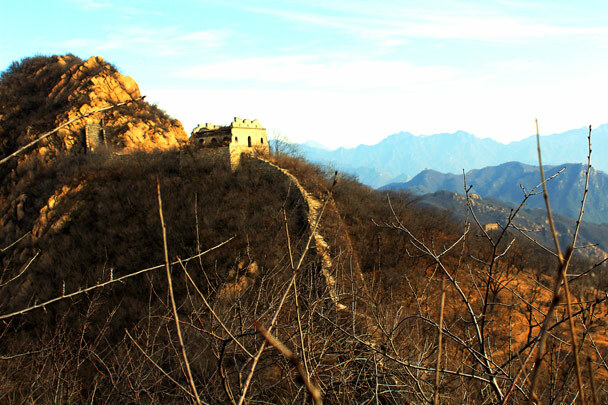 After hiking the last stretch of unrepaired wall in the area we hiked down into a narrow valley. 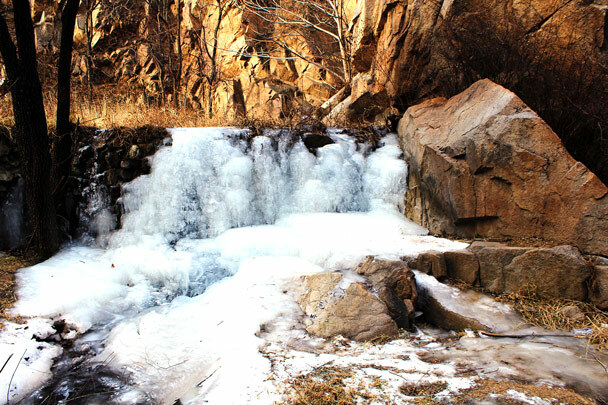 With recent sunny weather the wall part of the walk was free of ice, but the last part of the hike took us along a narrow stream which was already mostly frozen over – very pretty. 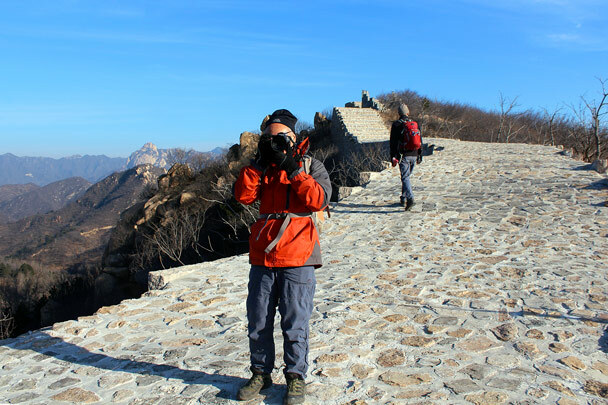 Dennis, one of Beijing Hikers’ super members. Striking a pose in front of a renovated section of the wall. 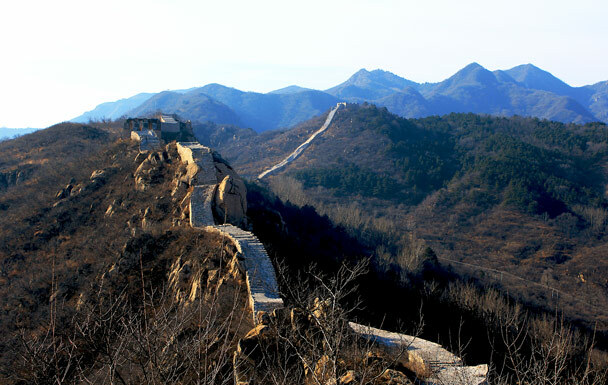 Back in Beijing it was a Red Alert for smog. Much nicer out here. 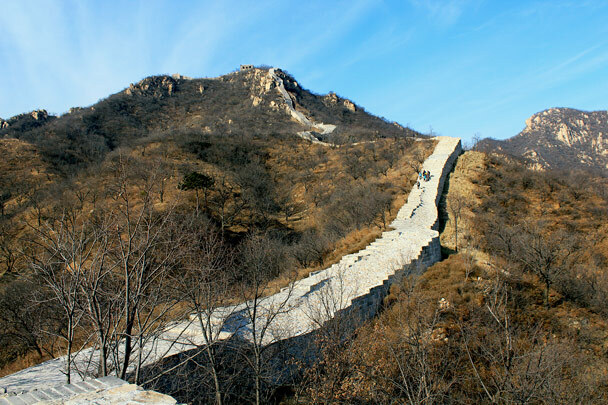 A beautiful view, with the wall running along a ridge above chestnut orchards. The steepest part of the hike. 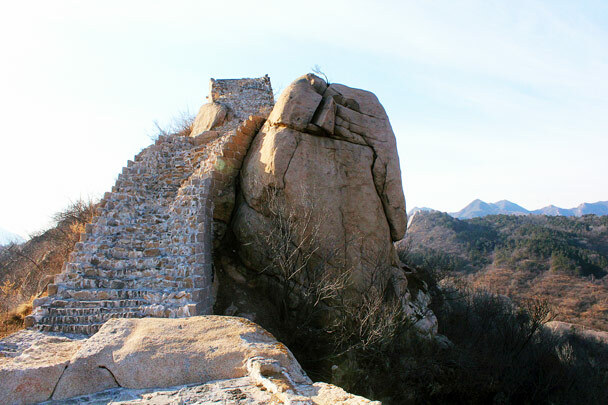 The big boulders were the source of the foundations of this section of the Great Wall. We continued along the repaired section. And then looking to the front. 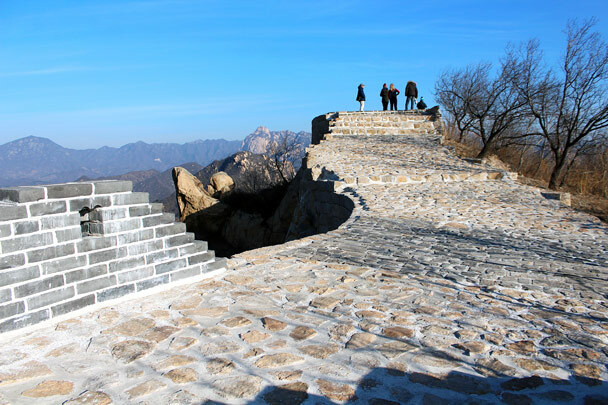 We hiked up to the tower on top of the hill to find the unrestored Great Wall. 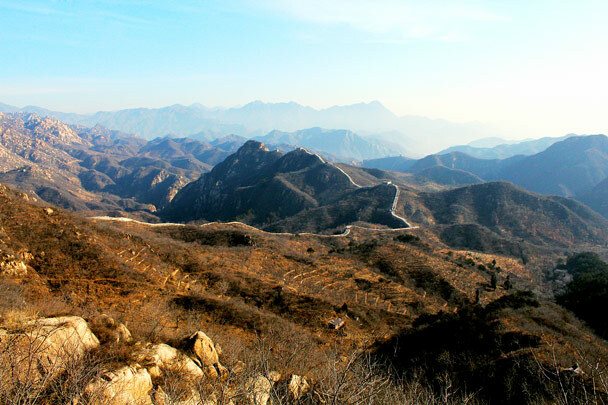 The Great Wall here stops at a cliff, and continues on the other side of the hill. The stream froze up as it flowed over rocks. In Brief: Photos from a trip through the Hulunbuir Grasslands in Inner Mongolia.